The TeamHealth Retrospective is a powerful deep-dive strategic retrospective that focuses on the top areas that affect team performance and health. The goal is to help teams and organizations enable a ‘growth’ mindset where team and leaders continuously assess how they are doing and develop an actionable improvement plan, then re-assess again in a quarter or next release. The retrospective is facilitated by a certified AgilityHealth Facilitator. Completion of the TeamHealth Radar survey. Review the team’s strengths and celebrate success. Review the team’s growth opportunities. Targeted Just In Time coaching on top gaps for the team. Team Growth Plan with actionable deliverables for the next quarter including a obstacles for leaders to remove. Optional: Follow up custom training/coaching on team’s target growth areas. The real value from this retrospective is the open and honest conversations we facilitate to help the team get past any current roadblocks and the development of a clear plan of action for getting their performance and health to the next level. 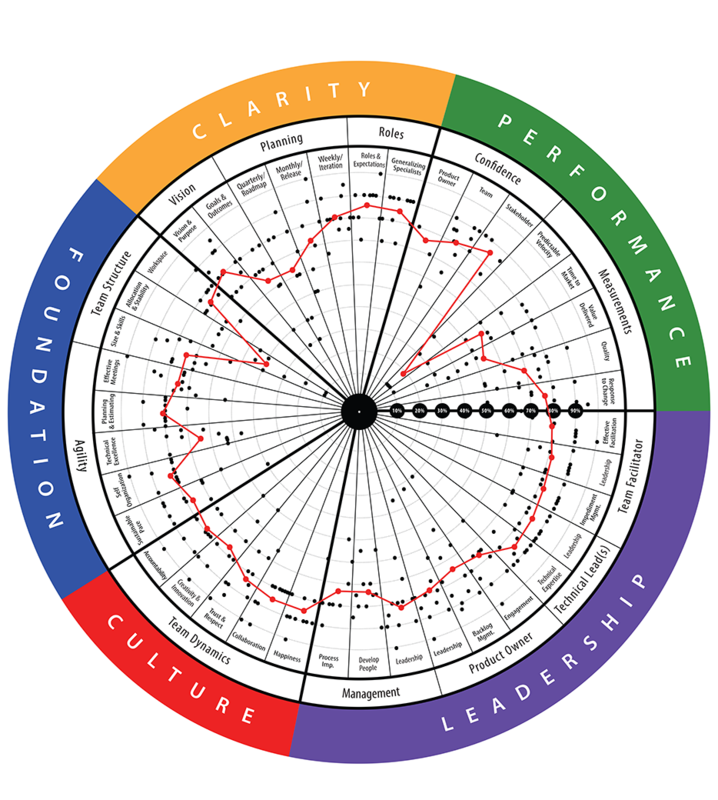 Repeat this strategic retrospective each quarter and see your team’s performance and health surge to the next level! 1We schedule a call to identify your retrospective goals and pilot teams. 2We facilitate the TeamHealth Retrospectives on site or virtually (2.5 – 3 hours per team). Team Health retrospective for each team. Multi-Team Growth Strategy workshop for leaders of the specific program/product/LOB. Cost: $3500/team, min 5 teams. 3Optionally, engage us to build a multi-team growth plan and provide training and coaching recommendations.